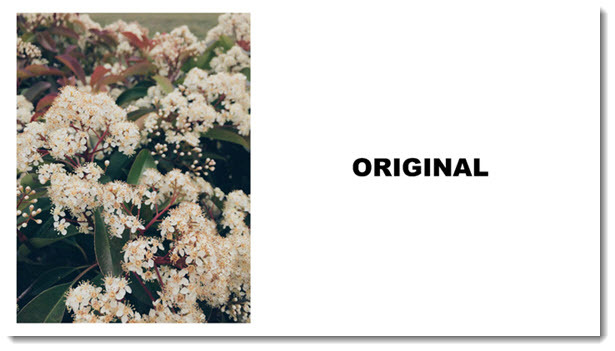 When PowerPoint added image crop capabilities, the need to rely on Photoshop (or other external image editing programs) was amazingly reduced. 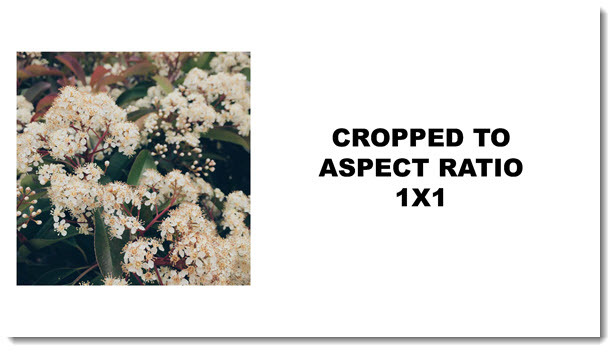 The Image Crop tool has some great advanced options that are not well known, or used nearly enough. 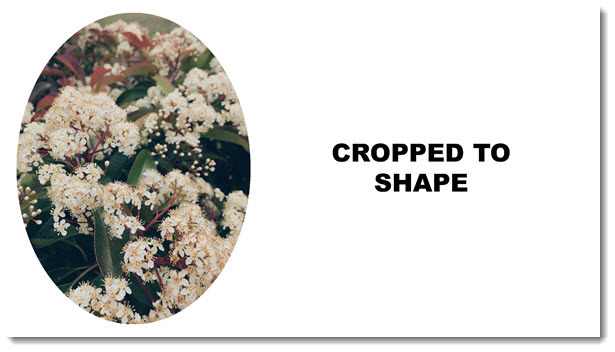 So, here is a demo of two great tools hidden in PowerPoint’s Image Crop tool. The same can be used for the common 4×3 and 16×9 aspect ratios and several other options! 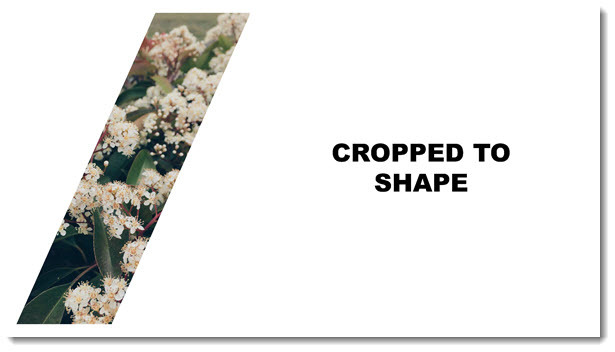 Another great, but not well known, option of the Image Crop tool is changing the shape of any image. 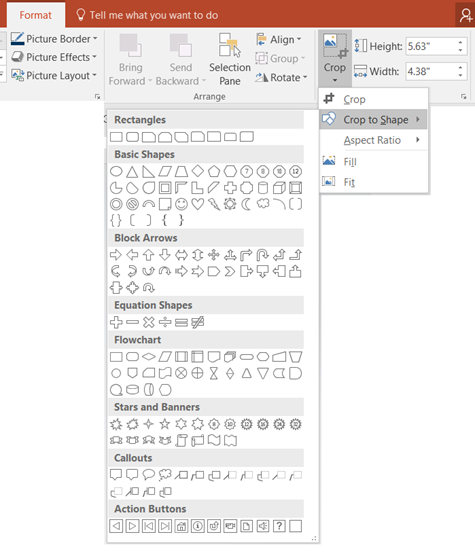 All of the shapes dialog, used to add a PowerPoint shape (rectangle, circle, trapezoid, etc.) are available to images too. The presentation is vertically centered and goes left to right. The top and bottom are not used (but the projector will show black in these areas). This is called Letter boxing. The presentation is vertically centered and goes top to bottom. The left and right sides are not used (but the projector will show black in these areas). This is called Pillar boxing. PowerPoint 2013 has updated itself to use widescreen presentations as its default (which I believe is good). And the PAGE SETUP has changed as well. The aspect ratio is the same (16:9). My friend, and Microsoft PowerPoint MVP, Echo Swinford has a great description of the page setup change here. 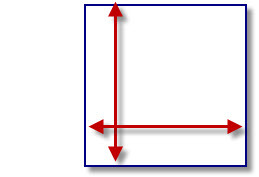 “What is the aspect ratio?” It has become one of the first questions for presentation and video projects. It is still a very confusing concept for many people. We use a simple video of each aspect ratio for clients to see the difference. It is the same video footage, which makes it easier to see the 4×3 aspect ratio is taller and the 16×9 aspect ratio is wider. 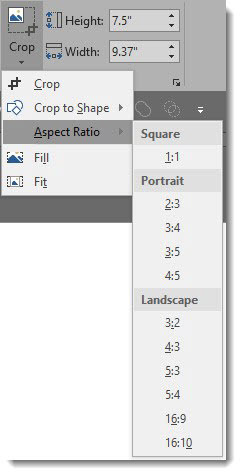 Another great feature is resizing (enlarging or shrinking) images and autoshapes from any corner and have it maintain the same aspect ratio. This feature is available in PowerPoint and Photoshop, using the SAME key combination.